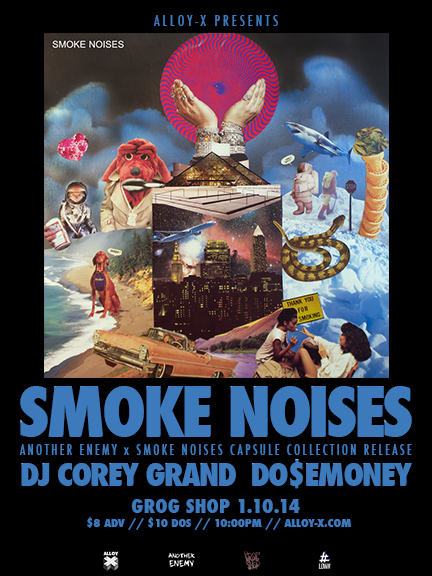 Smoke Noises live at The Grog Shop with support from Corey+Grand and Do$e Money. Also Another Enemy x Smoke Noises Capsule Collection Release which can purchased at the show. Also available at the show will be the limited edition Smoke Noises CD + Album Cover Sticker combo. Only 50 pressed!